I have to admit that a lot of the outfits I have worn so far aren’t very current. While I’d love to keep shopping for new clothes especially since the fashion-obsessed in me can’t help but lust over so many pretty things, my practical side keeps whispering in my ear that I shouldn’t. I have things hanging in my closet that I am still in love with and I have decided that they need to make an appearance on my blog before any madness ensues (you know what I’m talking about, hahaha)! Thank you so much for reading, and if you haven’t already, please check out my Instagram at my_sinina for blog updates and see you on my next post! Great from head to toe ! Super great skirt! Suit you so well, awesome look, darling! You are amazing! So inspiring! Your hair and makeup look perfect here! Love the idea of shopping your closet -- that's why it makes sense to buy more quality pieces that will last longer. completely agree Jessica, thank you! That's cool that you took your skirt out for a spin! I'm a believer in recycling my clothes too. It's a great skirt and goes well with your gorgeous shoes. Have a great weekend! thank you Ivete, again and again! Oh my gosh the shoes...yea I need those. You're style is so cute. Love love love your heels ! That skirt is to die for! Love how you styled this whole look!!!! i adore that skirt and the bow top.... the shoes completes the look, i love everything about this! i started a link up and would love to invite you to link up as well.... happy monday! Coming over from the link-up. I love shopping in my closet. I think it forces you to be a little more creative! 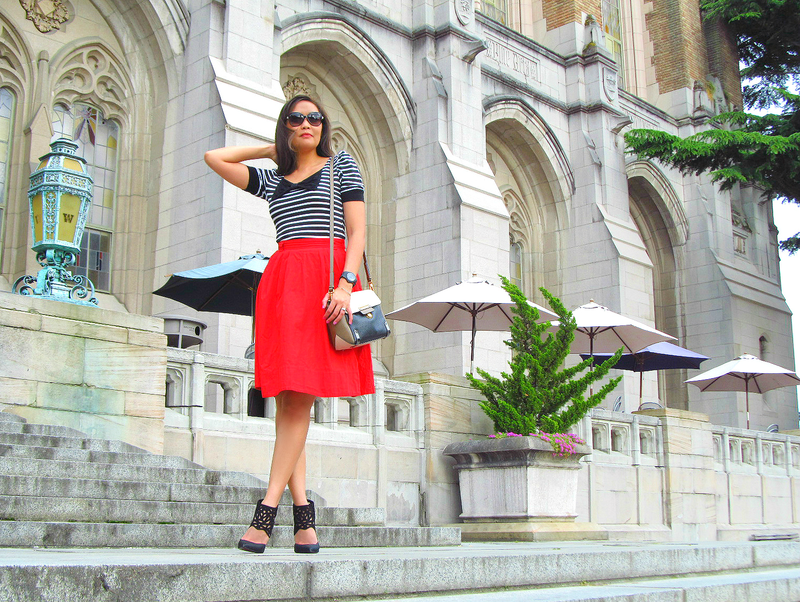 This red skirt is so pretty and I love the top you've paired it with! Very chic! You look beautiful. 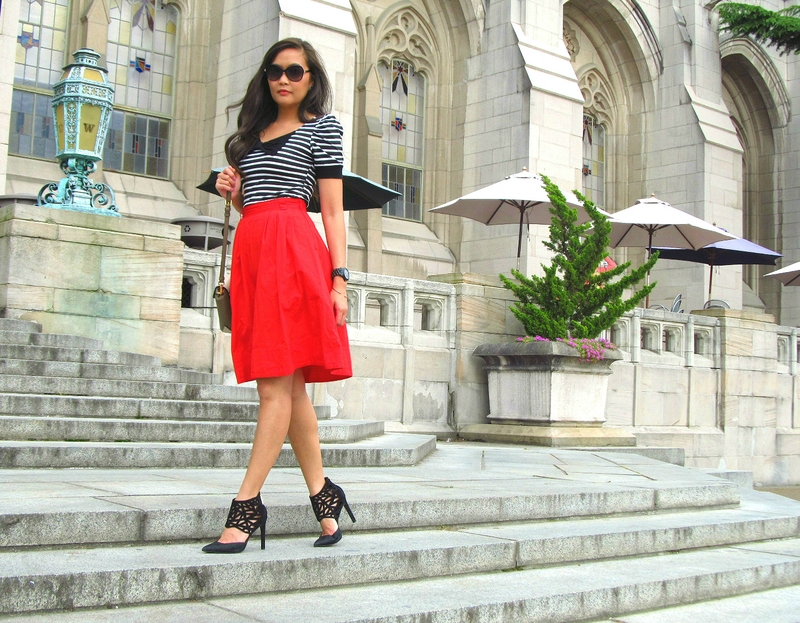 I love the black and red combination and your shoes are stunning! This is such a beautiful look! I love the color combo! There it is! Our twinner outfit! Lol. And when you're talking about Atlantic Pacific's stunning red skirt you're not talking about when she wore it with a fuschia top are you?? Cuz I totally was looking at that as my inspiration the other day! Maybe you are my doppleganger.